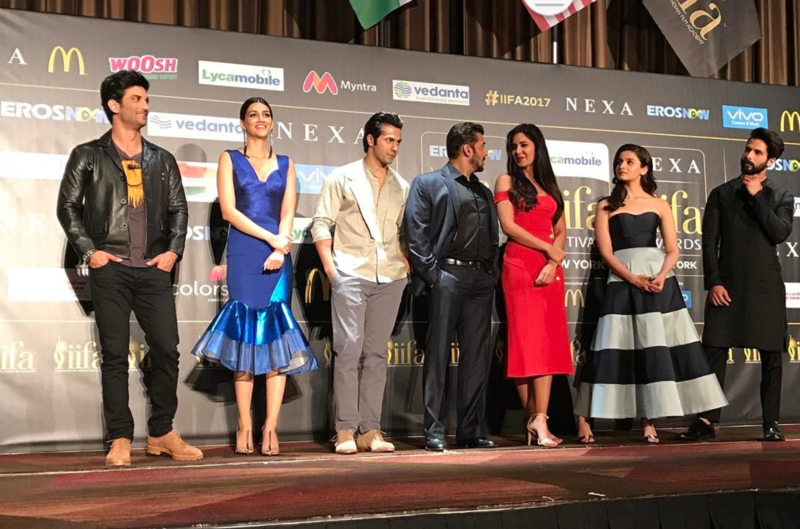 The International Indian Film Academy (IIFA) awards has kicked off with a bang, with a star-studded press conference in New York on Thursday morning, followed by a power-packed event at Times Square – IIFA Stomp – in the evening. Stars included Shahid Kapoor, Alia Bhatt, Kriti Sanon, Sushant Singh Rajput, Varun Dhawan and Anupam Kher. But EVERYONE’s eyes were on Salman Khan who headlined the event. The stars talked about their experience of being associated with IIFA and shared the stage with Khan. “I am very bad with dates. The only date I remember is Katrina’s birthday,” reported news agency IANS. Katrina will celebrate her 33rd birthday on July 16, a day after the IIFA awards.